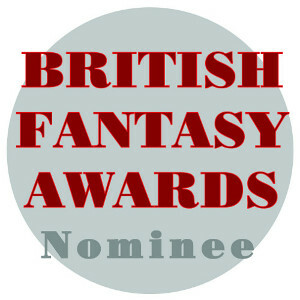 It’s that time of year when the British Fantasy Society announces its shortlist for the awards to be given out by the Society at FantasyCon, being held in Brighton once more, at the Royal Albert Hotel, in September. All nominees on the shortlist have been voted for by the membership and will now go on to be judged by jury. 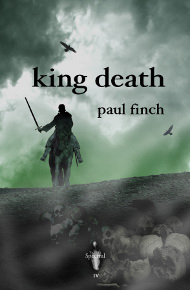 Paul Finch’s tale of misplaced medieval hubris is up for the Short Fiction award, alongside works by Simon Bestwick (whose own Spectral chapbook will be out in June next year), Michael Marshall Smith, Adam Nevill and Angela Slatter. Don’t forget, too, that Paul’s story is being reprinted in the Paula Guran-edited Year’s Best Dark Fantasy & Horror: 2012, due out this July. The second nomination is for Spectral Press itself in the PS Publishing Independent Press Award, where it’ll be up against Chomu Press (Quentin S. Crisp), Gray Friar Press (run by Gary Fry, author of The Respectable Face of Tyranny, published by Spectral last month) and Newcon Press (Ian Whates). A full list of the nominees for this year’s awards can be found here. FantasyCon 2012 is due to take place over the weekend of 28th – 30th September. We’ve put in a lot of hard work over the last seventeen months to bring our readers the best in top quality ghostly/supernatural fiction and, although in all honesty our main motivation is to give back to the genre we love what we’ve got out of it as a mark of gratitude, we’d be lying if we said that these nominations haven’t put big grins on our faces and validated all the reasons why we set Spectral up in the first place. It’s nice to see that hard work being recognised and, even if we don’t win, we can take a lot of heart and encouragement from just being on the shortlist. So, thanks to everyone who nominated us! As a quick aside, let it also be known that FantasyCon 2012 will see the launch of John Llewellyn Probert’s The Nine Deaths of Dr. Valentine, with a reading, a signing and free wine. A specially-signed edition of the hardback plus a pair of white gloves as worn by John in his author photo for the book will be featured in the FantasyCon Raffle. It’s an event NO T to be missed! Well deserved nominations – good luck! Brilliant news, good on you SMJ! I wish you and Spectral Press the very best, for this tremendous occasion. Your books have enriched the genre in this past one year, and I do hope that the BFS recognises the fact.